Today, “data-driven” marketers are able to pinpoint not only their specific target customer, but also where they tend to hang out online — and this is only the beginning. Check out last week's post for more on this. Year after year, families would stay with the same company, in the same unit and for the same week; many destinations are still the same. But with more resources at their fingertips, consumers are able to try new destinations, new companies and shop for the best deal possible. They are influenced by advertisements, promotions and their peers. Our loyal customers are getting older and passing the torch to their children who are now making many of the travel plans. Today, more than ever, it’s important that we drive guest loyalty. But how? The idea we bring to you is not new. Grocery stores, airlines, credit cards and the hotel industry has brought guest loyalty to the forefront of the minds of consumers and our guests. And it ties into data-driven marketing because they are collecting all sorts of data every time you swipe your card, buy groceries or make a trip — then they leverage that information to suggest further purchases. Just think about that for a minute. Of course, there are many things to keep in mind when creating a Guest Loyalty Program. Namely, what is your main goal? This may sound straightforward on the surface, but there are a variety of directions you could go with this. For example, you could be attempting to retain customers, differentiate yourself from the competition, increase the frequency of visits to help with shoulder season or shift spending to higher margin rentals. All of these goals can be accomplished with a single platform, but it’s good to know your main focus. Once you hone in on your main goal, you’ll need to plan with what you are going to reward your customers. Are you in a market that will allow for guests to earn free nights? Or, do you have partnerships with attractions that you can offer free attractions? Another option is to earn free linens, cleaning, late check-outs, early check-ins. Is there a platform that allows rewards to be given in a tiered approach? Is your competitive disadvantage that your competitors have loyalty programs (or could offer in the near future) that allow for guests to earn points to stay at other destinations? Do you need to find a way to partner with different areas and offer more non-competing destinations? Do vacation rental companies (or your own) exist that you can partner with strategically for certain parts of the year? This can be a strategic move to feed each other shoulder stays. You get more rental nights in the off season and the renter gets to afford an additional vacation when they otherwise might have passed. The next thing you need to think about is what data you want to collect and how to use it. Through your Property Management Software, you can collect number of stays, the number of people staying, what time of year are they booking and what time of year they are staying. Also, you can ask for referrals and give reward points for entering the name and email of people staying in their party or friends and family they want to refer to the program. Use this information to remarket to deepen the reach of targeted guests that have stayed with you, but haven’t been associated with a stay in the past. Guest loyalty programs are just in the infinite stages in the vacation rental world. But looking at the trends of how successful they’ve been in the travel industry and the benefits they can offer both Vacation Rental Companies and guests, we see this as the next “out of the box” marketing idea for VRCs. ICND has been working on a platform that will allow companies to differentiate themselves from the competition, retain guests that otherwise may not remain loyal, and use this data to target guests at the right time to drive conversions. These days, data-driven marketers have countless options at their disposal, leaving vacation rental owners pondering a very critical decision: Do we want become a true data-driven marketer by utilizing website visitors’ information and preferences or would we prefer to send out marketing campaigns into the ether with the hopes of landing those ideal customers? Vanessa Humes serves as the Director of Sales where she strives to grow and develop relationships with vacation rental companies who benefit from ICND’s focus on conversions. Previous to coming on board with ICND in 2009, Vanessa represented many major hotel groups in the Myrtle Beach area through the direct marketing and advertising agency for which she worked. She has seen the shifting changes in the hospitality industry from print and direct mail to digital marketing and the influence of OTAs. Vanessa takes a knack in analyzing trends in approaching technology and how to apply them to the vacation rental industry. Since she began with ICND, she has helped focus the company’s efforts on servicing the vacation rental industry. She is steadily dedicated to the success and profitability of ICND’s clients and their marketing strategies through ICND. Paul Hanak is ICND’s Director of Digital Marketing. Paul comes from a background of nearly a decade in marketing for a vacation rental company in Myrtle Beach. By earning a degree in Print Journalism, Paul has a knack for creative web development, user experience and an in-depth, hands-on approach to marketing. He brings his years of hands-on experience in SEO, PPC, social media, email marketing and distribution management and applies his knowledge to the strategies of ICND’s clientele. He’s a proven leader and mentor for ICND’s marketing department and continues to help our clients improve their results and ROI. Brandon Sauls founded InterCoastal Net Designs (ICND), a lead-focused vacation rental web development and marketing company, in 1999 with a passion for technology. Brandon, a graduate from University of South Carolina, began the company as a single entrepreneur and has grown the company to more than 40 employees. In more than 18 years of business, Brandon has become an expert in vacation rental website engineering and marketing. ICND provides customized solutions and superior service for each and every client. His team is asked to speak at conferences all over the country and share their expertise on topics surrounding the web and digital marketing. Today, Brandon still serves as the president and CEO of ICND. Brandon continues to invest in the custom products that support his clients’ business solutions and online marketing initiatives. The company continues to successfully grow at a rapid pace. 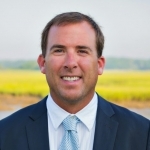 Brandon is a member of VRMA, chairs the Marketing Committee and stays involved with the local Chambers of Commerce, Brunswick County Small Business Advisory Committee, and First Community Bank Advisory Board. He is a 2015 graduate of the Brunswick County Leadership Program. In 2013, Brandon was featured by a local magazine as one of top 10 young area professionals proving to be an innovator in the community and ICND was named No. 1 web company by the Wilmington Business Journal.